In four weeks' time it will all be over. The UK will have decided whether its future should be as part of the EU or outside of it. The referendum on June 23 is not an election in which candidates offer manifestos packed with promises of what they will do if they win. There can be no promises because nobody knows what will happen after the votes are counted. All anyone can do is gaze into a crystal ball. And that ball is pretty cloudy. For Brexiteers, the future means freedom from Brussels bureaucracy, the right to control who comes into the country and how our money is spent. For Remainers, the future means stability, the continuation of partnerships across a whole range of spheres from science and research to trade and environmental initiatives. 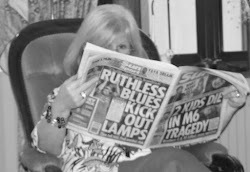 For national newspapers fighting for survival in an age where people generally get their news from television, social media and apps, this campaign should have been an opportunity to prove that they are still relevant, and a chance to demonstrate print journalism's advantages over the screens. Scrolling down on your mobile, you see only one item at a time. Pick up a newspaper and you can see everything at a glance: the main story, the sidebar, the panel. How better to see all the arguments? How convenient to have one side's view on one side of the page and the opposing stance on the other. It's called balanced reporting and good old-fashioned newspapers are uniquely placed to offer this kind of journalism. Have they taken this opportunity? Have they proved themselves invaluable sources of information for a confused and rather irritated electorate? The right-wingers have gone all-out for Brexit, with the white-tops shouting at readers that they MUST vote to leave the EU, while the left-wingers have been muted. The Mirror's instincts seem to be to Remain, but it is struggling to come to terms with the idea of being on the same side as David Cameron. The Times is trying to be even-handed, but the only paper so far rising to the occasion is the i, which seems genuinely interested in informing rather than instructing its readers. This real shame in this that the paper's key selling point is that it is "concise". If only those with more space would adopt a similar strategy, they might reap some benefits. Maybe in the last four weeks of campaigning they will. It should be remembered that newspapers are not obliged to offer balanced coverage. They are entitled to take a standpoint and press that view. Campaigning journalism has a long and glorious history. If the Daily Mail, Daily Express and Sun truly believe that Britain and its people would be better off outside of the EU, there is nothing intrinsically wrong with their arguing that case. They have, however, all signed up to be regulated by Ipso and to the editors' code of practice. 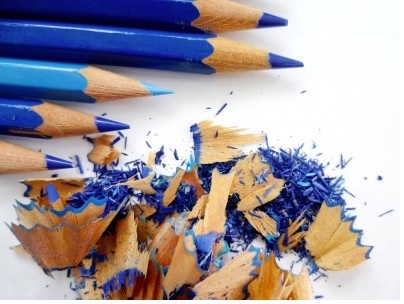 The Press must take care not to publish inaccurate, misleading or distorted information or images, including headlines not supported by the text. An Oxford University study published this week looked at nearly a thousand articles published in the two months after David Cameron announced the date of the referendum and found that 45% of them had been pro-Brexit, 27% pro-remain, 19% were mixed and 9% were neutral. 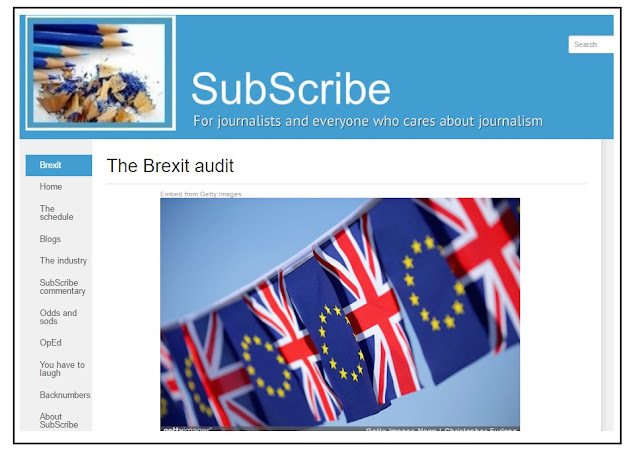 SubScribe does not have the resources of Oxford's Reuters Institute for the Study of Journalism, but it is going to attempt an audit of the nine mainstream paid-for national papers' coverage of the last weeks of the campaign. This will be published on the mothballed website here. To start with, you will be able to click on any of the titles to see the pages they have produced over the past week and make your own judgments on the headlines, prominence and projection of stories. These collated pages, which will be updated regularly, are those that directly refer to the EU debate. That means that if one paper regards overturned refugee boats from Libya as part of the issue, they will be shown; where another treats the Mediterranean tragedies as separate, their pages covering that story will not be included. There is also a brief resumé of events in the campaign since last Monday, so that you can decide whether they have been reported clearly, ignored or overplayed. And when all that has been put together, there will - naturally - be some SubScribe commentary on the way things are going and possibly some straight reporting of issues that the Press seem to have missed. Your feedback will be much appreciated on this, especially in pointing up anything missing from the "events" round-up.